Sewing faux leather can quickly become a challenge if you come across a rebellious faux leather piece. 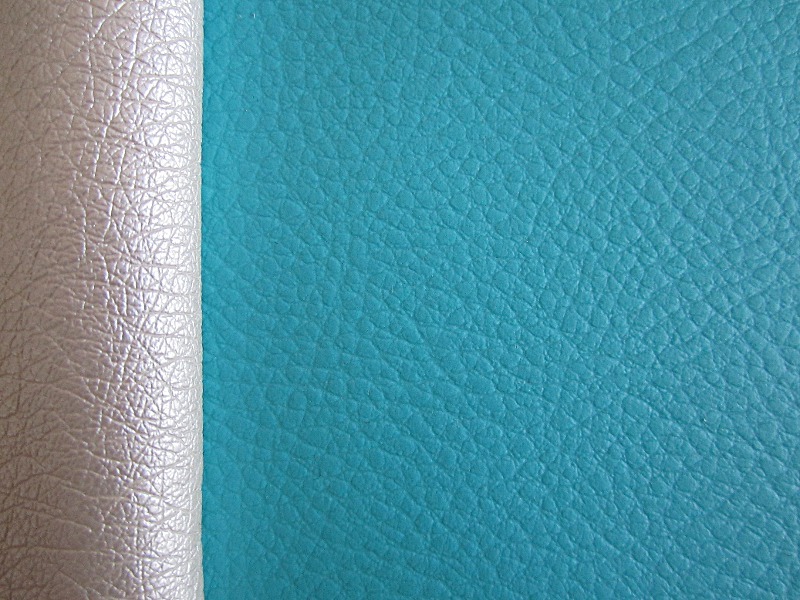 Here is what you need to know to sew faux leather and get the best possible result. What to cut it with ? A rotary cutter with cutting mat is very convenient to cut faux leather especially to get sharp edges on the long, straight pieces like handles and shoulder straps. But a good pair of shears will do just fine. 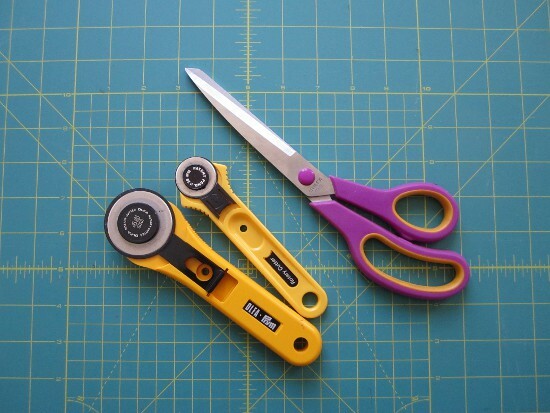 Cutting mat + rotary cutter or shears. If you can’t cut your faux leather in double thickness (not flexible enough, too thick, ..), unfold it and cut your pieces in a single layer. Flip your pattern piece to cut the second piece in a mirror image of the first one. Pin within the seam allowance only. Included seam allowance for Sacôtin patterns is 1 cm (3/8″). 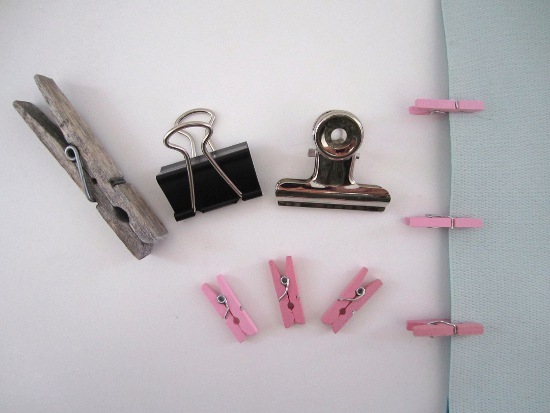 Use sewing weights (or small dumbbells, dictionary,…) to hold the pieces down if pinning is impossible. The following information is intended as general guidance. 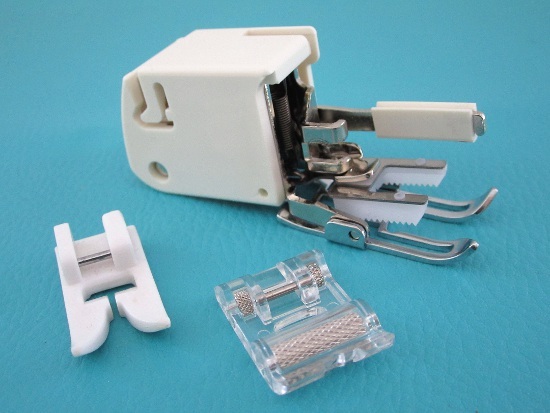 You will have to test on faux leather scrap to get the optimal settings for your sewing machine and your faux leather. Which needle to sew faux leather ? New denim needle size 90 or 100 depending on the thickness. Which thread to sew faux leather ? Pin within the seam allowance to avoid creating holes that will remain visible in the finished work. Feet to sew faux leather. Left : teflon foot, right : roller foot, at the back : walking foot. Place the paper between the faux leather and the presser foot and stitch through the paper. 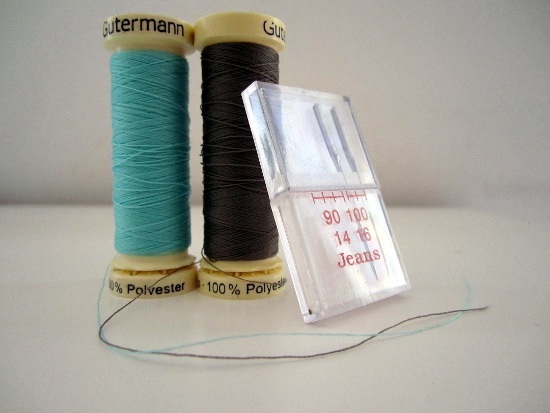 At the end of the stitching line, remove the paper by tearing it away. If the faux leather right side is both in contact with the presser foot and the feed dogs, you might have to place wax paper on both sides of the faux leather. Remove the foot, place a piece of tape under its sole and re-attach the foot. Topstitching faux leather with a regular special foot.